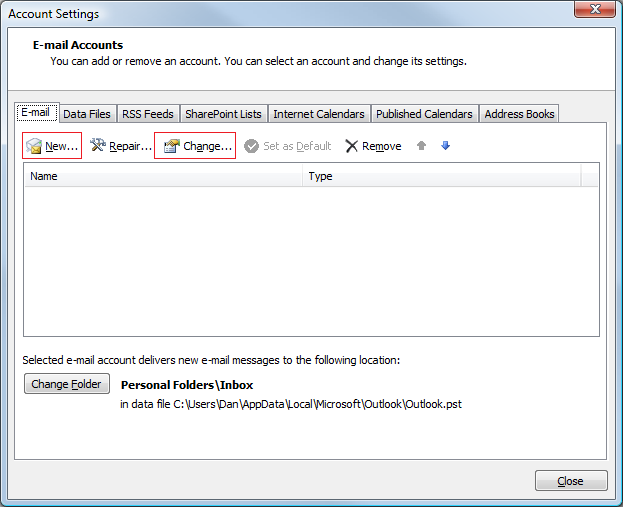 We have updated instructions for Outlook 2013. Click here to view the new FAQ. 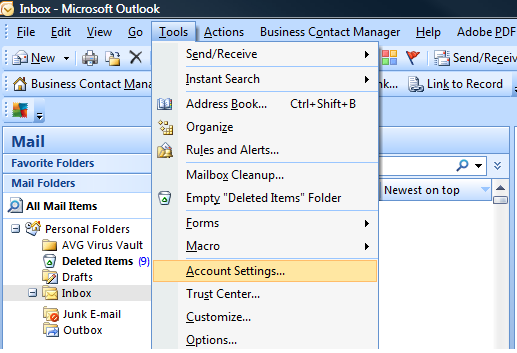 To either add a new email account to your Outlook or to edit an existing one, start by locating the Tools menu and choosing Email Accounts. Next, select whether you want to Add a new account or View/Change one that you already setup. 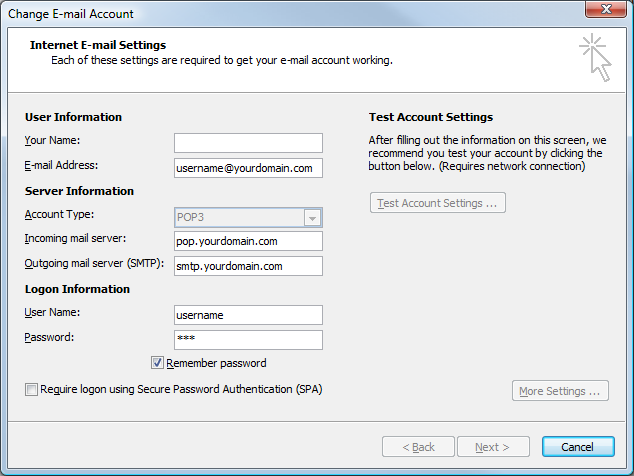 If you are adding a new account into Outlook, you will want to specify POP3 as the type. Password: the password you setup in the control panel for this address. The last step is to click Next and then Finish. For additional information or help with your Outlook program, please consult Microsoft’s documentation or support.